EMTs participate in all-expense paid trips from FEMA to various locations in the U.S. for further training. First-responders, when not attending to emergencies or otherwise assisting members of the public are often behind the scenes conducting continuous training. After all, one should never stop learning, and it is through repetitious practice and continuous training that those who protect our communities both maintain and build upon their skills. Check out some great vintage pictures of our ambulances through out the years. Click on the image to the right to view our new photo gallery. The V.F.W. Post 6192 of the Twp. of Washington recently donated $10,000 to the ambulance corp for purchase of a new Stryker stretcher. Please click on the image to the left to view photos of the event. I n an ongoing effort to make our community more Heart Smart and increase survival chances for our residents, the WTVAC and Emergency Responders need your help as they raise money for the purchase of new life saving technology. 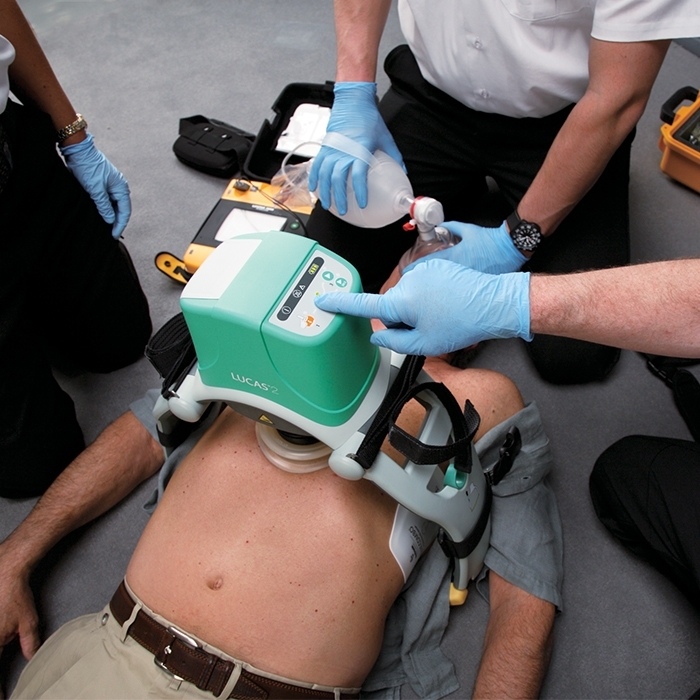 Automated Chest Compression (ACC) systems are hands-free devices that can begin administering chest compressions within seconds of arrival. Please click here for further information including a donation form.